Happy New Year! I hope that everyone has enjoyed a wonderful holiday with your families. We have a few weeks left before the end of Term 2 and report cards, so teachers and students will be working hard. Robin Borst has started her maternity leave, and we welcome her replacement, Jennifer Friis, to Wakefield. Jennifer comes to us with teaching experience from other schools in our board at the Cycle 1 level. Please make sure that your child is dressed for the outdoors when they come to school. Even though it may be cold, we go outside as often as possible, even for short periods of time. Please make sure they have the necessary clothing for the day’s weather. 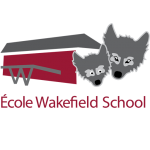 And some thank yous: Mme Kelly and Mme Sylvie did an incredible job in organizing our Wakefield’s Got Talent! Show. The kids were amazing! Our annual Holiday Sale raised $1234.25, with half of the proceeds going to two organizations: the Guatemalan Daycare Project and the Wakefield Emergency Fund. Many thanks to the PPO parent volunteers who helped organize, collect and sort, wrap, set up and clean up this lovely tradition that our kids love. Thank you to Mme Doucet who led the school in another cherished tradition of carolling. On our last day of carolling when parents attended, we enjoyed the accompaniment of Debra McLaughlin and Mary Nodwell. It was wonderful. Lastly, the Me2We group held a fundraiser bake sale before the holidays and raised $166.70 for the Guatemalan Daycare Project.